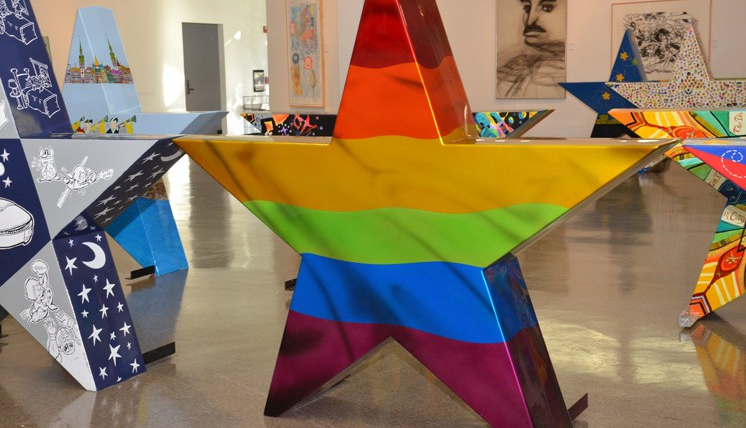 These large, colorful stars made their public debut at the Arlington Museum of Art in November 2015 and have gradually been installed across the city during 2016—popping up in Arlington’s Cultural Arts District, Downtown area and Entertainment District. This exciting citywide art exhibition builds upon the momentum of the city’s larger-than-life interactive DREAM sculpture unveiled this past September. The stars will remain on display, brightening up their new homes, for the next three years. To visit all 20 stars check out The Shorthorn’s interactive map of the sculptures. 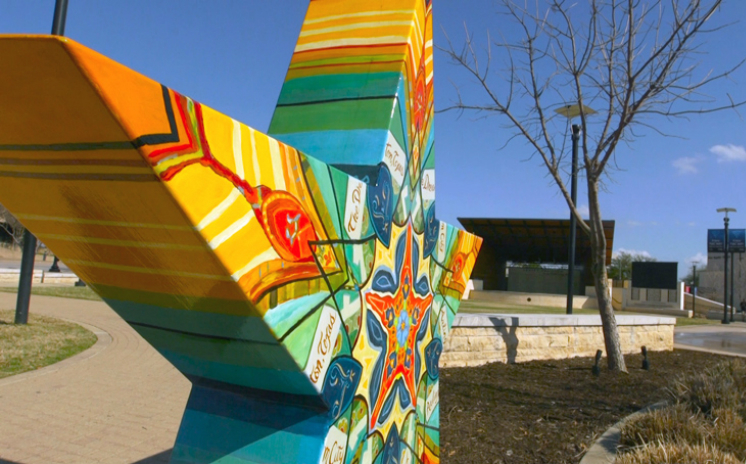 This entry was posted in Arts Access, Beyond Levitt and tagged Canvas by Canvas, Kaleidoscope of Dreams, Levitt Pavilion Arlington, public art on May 10, 2016 by Nicole McGaffey.